BE IN THE MID-CAREER STAGE Fellows are at least five, and typically not more than 20, years into their careers, with demonstrated work accomplishments, and a clear indication of future contributions and excellence. The average age of a Greenberg World Fellow is 39, though there is no minimum or maximum age limit. 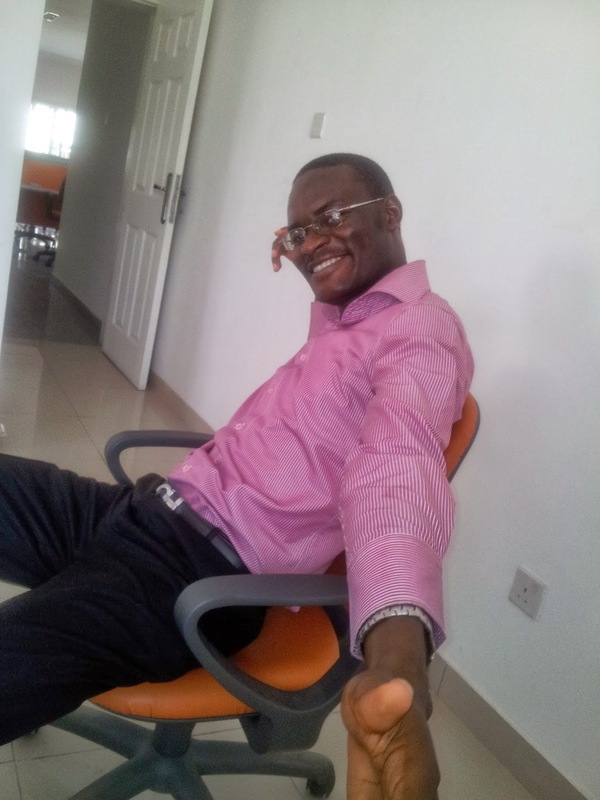 BE FLUENT IN ENGLISH An excellent command of the English language is essential. BE A CITIZEN OF A COUNTRY OTHER THAN THE UNITED STATES While dual citizens are eligible, preference is given to candidates whose work is focused outside the US. 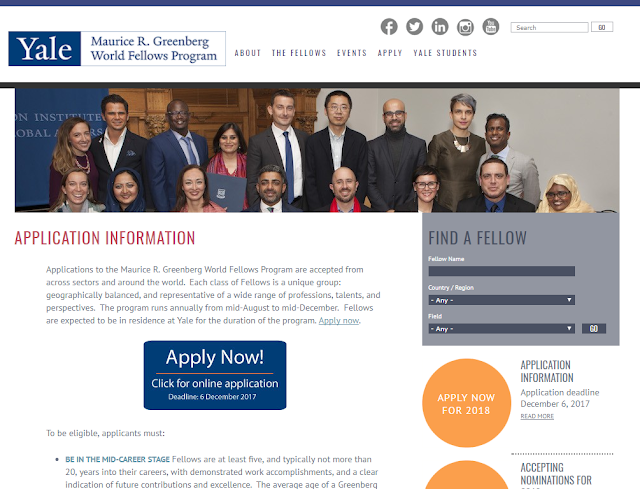 Please note that application for admission to the Greenberg World Fellows Program is entirely an online process. There are no paper forms to complete or mail. Applicants are required to submit a Résumé/Curriculum Vitae (maximum 3 pages), three essays (500 words maximum each), and three letters of recommendation. Applicants also have the option of submitting a brief video statement. Complete instructions can be found within the online application once you create an account. The application deadline for the 2018 Program is 11:59 PM Eastern Standard Time on December 6, 2017. No extensions will be granted and late applications will not be accepted. Most questions about the program and the application process can be answered by reviewing this website and the common questions. If your question is unanswered, you may contact staff at applicant.worldfellows@yale.edu. Please do not send multiple emails regarding one issue, and please do not email staff individually. We thank you for your patience in allowing staff adequate time to thoughtfully process your inquiries.